Here in this guide, we will show you how to flash the stock official firmware on Samsung Galaxy S8 & S8+. Why flash the Stock Firmware? 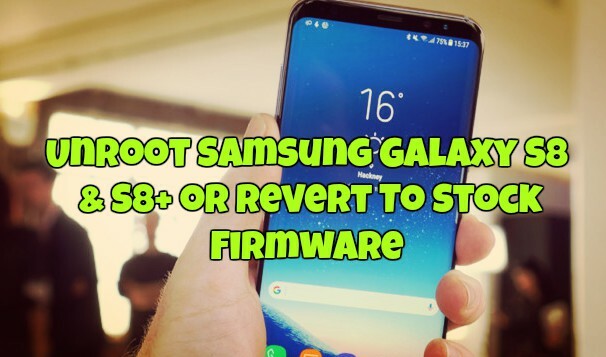 This will help you to Fix the Soft bricked Samsung Galaxy S8 and S8+, Unroot Samsung Galaxy S8 & S8+ and help you to go back to the official ROM of the Samsung. Most of the user who rooted their phone and installs some custom ORM on their Galaxy S8. And some of them are not happy with those ROMs and want to back to the Stock Firmware on Samsung Galaxy S8 & S8+. 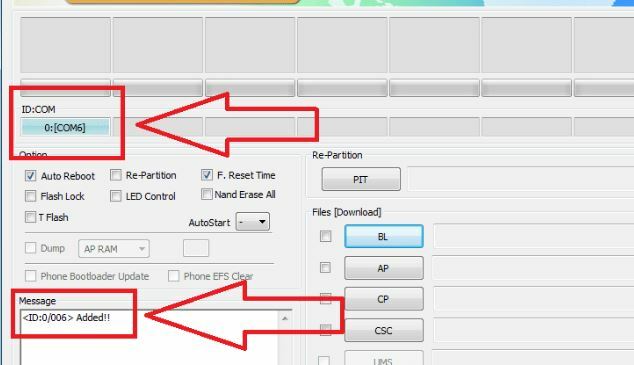 So here is the guide which will allow you to flash the stock firmware on your Samsung Galaxy S8 & S8+, with this method you can quickly revert your phone back to stock. So if you are rooted or have a custom recovery or ROM installed, they will all be gone. And you can enjoy the stock firmware on your phone. In order to unroot Samsung Galaxy S8 or S8 Plus or revert to the Stock, users have to flash a stock firmware using Odin3. Odin3 is a Samsung flashing tool which allows you to flash the stock firmware on your Samsung phone. All you have to put your phone in download mode and flash the Samsung Galaxy S8 firmware on the phone with the help of ODIN flashing tool. Follow the instructions given here to unroot Samsung Galaxy S8 or S8 Plus. Samsung Galaxy S8 & S8+ is not starting. Unroot Samsung Galaxy S8 & S8+. How to Hard reset Samsung Galaxy S8 and S8 Plus. How To Fix SoftBricked or unbrick Samsung Galaxy S8 and S8 Plus. Samsung Galaxy S8 stucks at Samsung Logo. If you’ve deleted any system app or configuration after rooting your galaxy S8. You can Unroot your Samsung Galaxy S8 Plus, and again get its warranty officially. Samsung Galaxy S8 Stucks at Bootloop. Warning:- This tutorial is only for Samsung Galaxy S8 & S8+, don’t try this tutorial for flashing ROM in other android phones. 1. Go to the firmware download page from the above mention link, and enter your phone’s model number. If you don’t know it, go to Settings > About Phone > Model Number. You can download builds for Exynos and Snapdragon variants of S8 and S8+. 2. Now Reboot your Samsung Galaxy S8 Plus into Download mode. To do this press “Home button + Power Button + Volume Down key” at the same time on your phone for 3-4 seconds until its goes to Download mode. 3. Now Connect your phone to your PC with the USB cable. 4. Open the ODIN app on your desktop. Odin will show “Added” message in the log box. It will also turn the ID:COM box blue upon successful connection. 5. Now Click on AP or PDA button on ODIN scree for selecting your firmware that is in .tar or .tar.md5 extension. 6. After that click on the Start button in Odin and let it flash the firmware. This will take some to flash the Stock Firmware on the Samsung Galaxy S8 & S8+. Once the process is over, the phone will automatically reboot. Your Galaxy S8 or S8+ will now be back to stock, and the phone is unrooted. Great site, thank you. I have been bequeathed a Samsung S8 which is most probably network locked. It has been flashed with a custom ROM and I need to flash with stock ROM. I want to change carrier – will the flashing unlock the phone? If not will I need to install stock firmware for the original carrier (Telstra I think) – unlock – and then install firmware for preferred carrier?